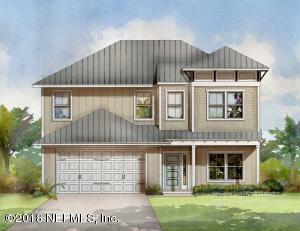 Brand New Coastal Home in Menendez Park which offers beach access to Anastasia State Park! This home is loaded w/ quality features like a metal roof, spray foam insulation, Hardie Siding, Impact Low-E vinyl windows & custom finishes. 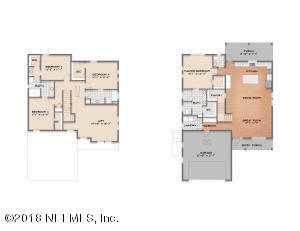 4BR/3.5BA, huge loft/bonus room, 2 car garage with 2,685sf of living area. Upon entry your welcomed by wood floors, 9'ceilings, spacious living & dining room opens to kitchen w/shaker cabinets, tile back splash, granite tops, 42'' uppers & stainless appl. This home has been on the market since Jan 12,2018. Courtesy of RE/MAX 100 REALTY.